Located in Lincoln County in the central part of New Mexico, the small village of Ruidoso is one of the state's top resort towns. It's conveniently located near many of New Mexico's best natural landmarks and outdoor recreation areas like Lincoln National Forest, Grindstone Lake, the Smokey Bear Ranger District, and more. History buffs will love the nearby Lincoln Historic Site, while families with young kids can have a blast at the Ruidoso Winter Park. In short, Ruidoso has something to offer to visitors of all ages and backgrounds and has been a beloved and cherished location in New Mexico for many generations now. If you're traveling around NM in an RV, Ruidoso needs to be one of the stops on your route and there are several highly rated RV parks in the area. 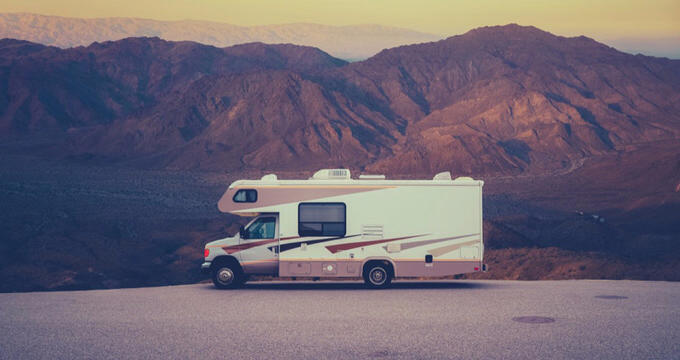 Many of the best Ruidoso RV parks offer stunning views of the beautiful scenery in this particular part of the world, as well as convenient access to many of the town's top recreational areas and attractions. Read on for full contact information and detailed overviews of the top rated RV parks in and around Ruidoso NM. As the name suggests, the Riverside RV Park is located right on the banks of the Rui Ruidoso, a 30-mile river that stretches through the village of Ruidoso and along the Sierra Blanca and Sacramento Mountains. A very popular RV park and campground, Riverside RV Park is an adults-only RV park, meaning that access is exclusively reserved to people aged 21 and above. This adults-only theme ensures that the atmosphere and environment at this particular RV park is very calm and relaxing. Many full hook-ups are available at this RV park featuring cable, water, electricity, sewerage, and even free Wi-Fi access. Due to the riverside location of this Ruidoso RV park, it's a great spot to do some fishing, so guests are encouraged to obtain a fishing license before they arrive in order to cast out their line without a care and reel in some big prize trout. This is a relatively no-frills sort of RV park, but it does feature some useful amenities like a patio and grill area, as well as a laundromat. Very conveniently located right off US-70, the RV Resort of Ruidoso is one of the easiest RV parks to find and use in the Ruidoso area. It's been highly rated by many guests in the past and continues to be a major player in the RV park scene around this beautiful mountain resort town. With low site rates and easy access to many local attractions and landmarks, this RV park has a lot to offer. It's also situated on a simply stunning plot of land with unbeatable views of the surrounding mountains and forests. You'll really feel a million miles away from urban life at this incredible RV park, with on-site amenities including showers, restrooms, a picnic pavilion area, a laundromat, and more. Several dozen sites are available with full hook-ups, and all guests at the RV Resort of Ruidoso will be given Wi-Fi codes upon arrival to enjoy high speed wireless internet for the duration of their stays. Very easy to access, Twin Spruce RV Park & Camp is situated just off highway 70, helping you get all around the local area with ease. This RV park features more than a hundred spacious sites with a variety of services and views to suit all visitors. Some of the sites are more secluded and shadier for those who prefer a little privacy and intimacy, while others are slightly more open to provide better views of the surrounding landscapes. Regardless of the site you choose, you'll be able to take advantage of this RV park's excellent facilities and wonderful, homely atmosphere. The amenities at Twin Spruce RV Park include showers, a laundry area, a fully heated swimming pool, and even a convenience store which can be very useful as Ruidoso is quite a secluded location and it can be frustrating for people to have to drive around in search of grocery stores for simple items like food and drink. This park is only half a mile out of the main town and just a short distance from some of the area's best hiking and biking trails too. Other on-site amenities at this Ruidoso RV park include grills, picnic tables, a pavilion area, a dog park, and even breakfast and lunch services through the peak season of May to October.